There are many reasons to bring your outdoor plants inside. Many plants can be brought inside to be protected over the winter until the following spring. Some plants may be more susceptible to bugs that can harm the plant outdoors. Regardless of the reason you want to bring your plants indoors, you will want to protect your new indoor plants from insects that can get on the plant or in the soil of outdoor potted plants. 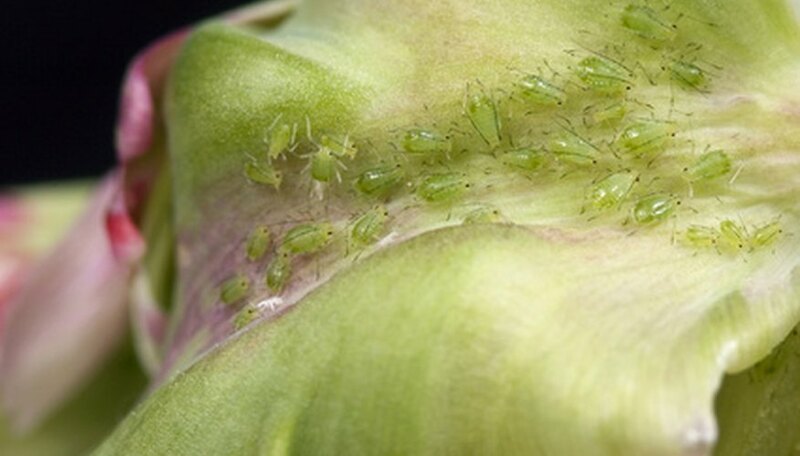 Begin to create a natural insecticide you can use on plants about six weeks before you bring them indoors for the best results. However, you can use your insecticide sooner if you need to bring them in right away. Dice an onion and a garlic head and place them in a saucepan. Add 2 pints water and 1 tbsp. cayenne to the saucepan, and let the mixture simmer for 20 minutes. Pour the mixture into a canning jar. Set aside the mixture for six weeks, then strain out the material. Fill a clean plant pot half full of new sterile potting mix. Dig out one of your plants you want to bring indoors by digging deeply around the roots until they are all loose. Gently shake your plant to remove as much of the old dirt around the roots of your plant as you can. Place your plant into the new pot and add more soil to cover the roots. Firm the soil around the base of your plant to hold it in place. Replacing the soil around the roots of your plant can eliminate many bugs. Remove any dead or brown leaves by cutting them off at the base with pruning scissors. Use your scissors to cut each branch down by half. Sterilize your pruning scissors by cleaning them with rubbing alcohol before using them on another plant. Mix 1 tablespoon of your homemade insecticide with a pint of water. Shake the mixture well. Put your mixture in a spray bottle. Hold the bottle about 6 inches from your plant, and spray a mist over the leaves of your plant to protect it from bugs. Water the soil directly until it is moist. Bring your plant to the location you want it indoors.